A string of mysterious explosions and attacks is crippling America’s defense network. Scientific analysis indicates that atomic weapons caused the destruction, but what power on earth could focus atomic energy into the kind of ray being used? 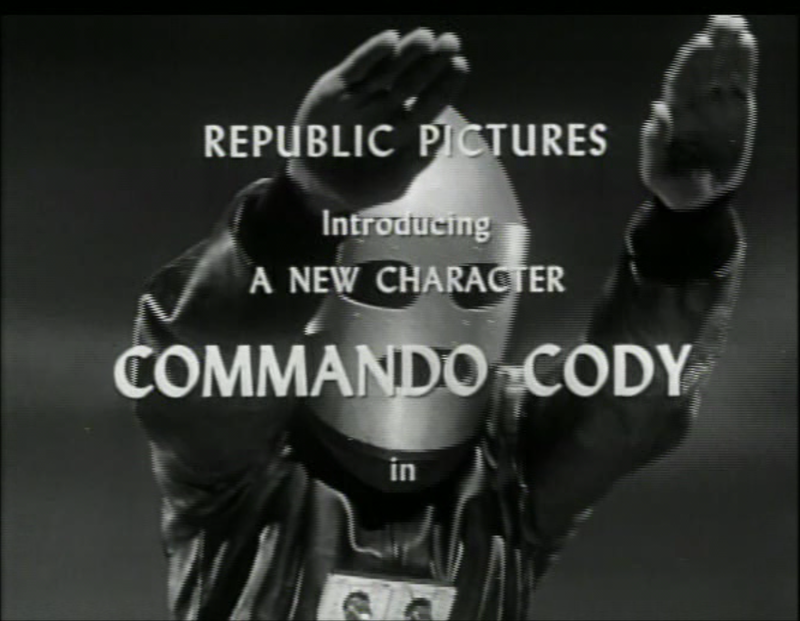 Only one man is equipped to investigate: Commando Cody, inventor and explorer, whose jetpack allows him to soar through the air (and who is also a crack shot with a pistol). Liberating the atomic ray from the two gangsters wielding it, Cody takes the futuristic weapon back to his lab to analyze it. The two gangsters, Daly and Graber, report to their superior, Krog, who (as Cody will discover) is the leader of an invading force from the moon! Krog orders them to recover the ray and sends his human minions on several criminal assignments to raise funds for his terroristic activities. Eventually, Cody and his team determine the source of the trouble and launch Cody’s latest invention, an interplanetary rocket ship, to the moon itself. The lunar civilization is dying, as its leader Retik explains, the air too thin and dry to grow food; already the lunarians must wear helmets outside of their pressurized cities in order to breathe. (Needless to say, no more attention is paid to real scientific knowledge of the moon than in the space fantasies of Edgar Rice Burroughs from decades before.) 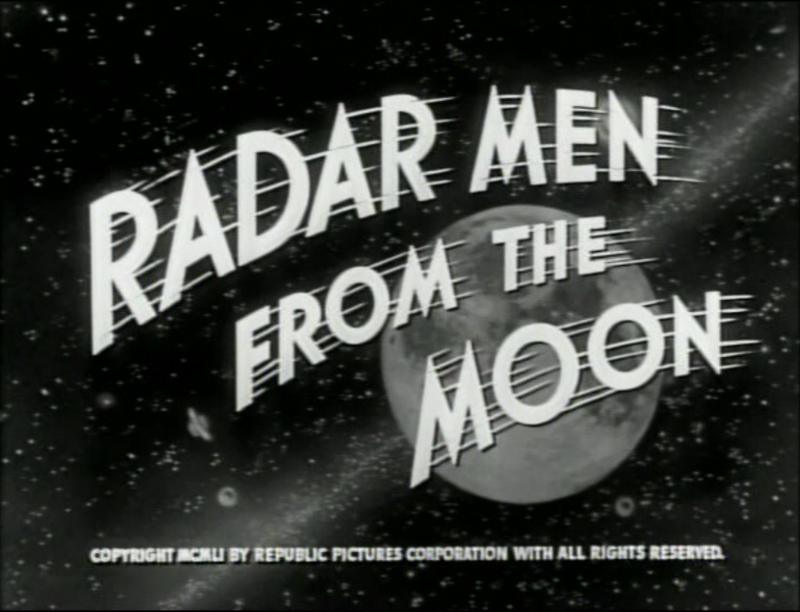 After softening up earth’s defenses, the lunarians plan to invade earth in Radar Men from the Moon. 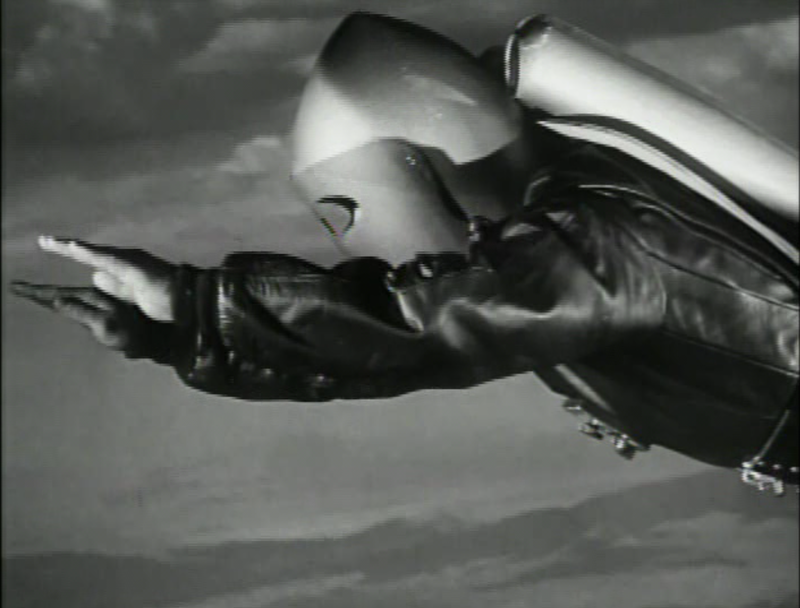 Radar Men from the Moon is very much what you would expect from a science fiction adventure from the early 1950s, as much Captain Video as Flash Gordon. 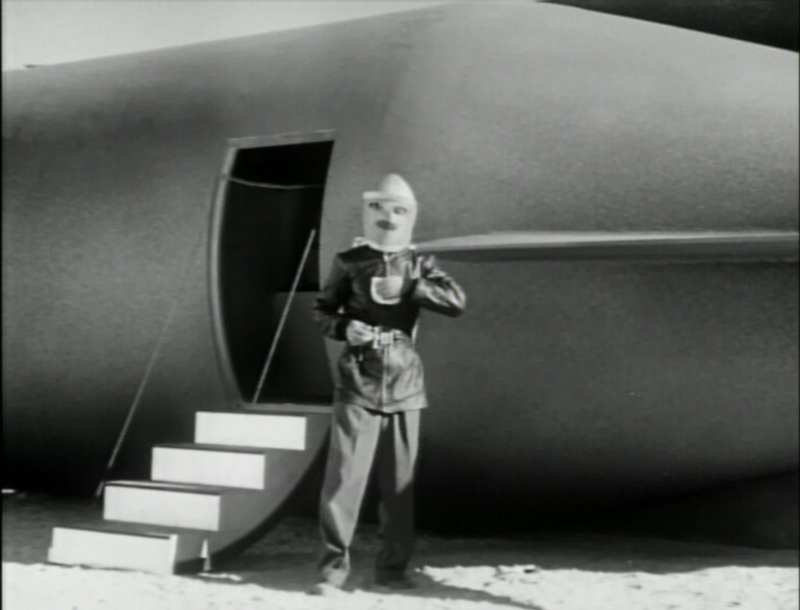 With the fishbowl-style space helmets, finned rocket ships, and sweet moon tanks (not to mention Cody’s bullet-headed flying costume), it is, to use a modern term, “toyetic” (although the kind of mass merchandising we’ve come to expect since Star Wars wasn’t in place then, so there don’t seem to be a large number of actual toys based on these designs). 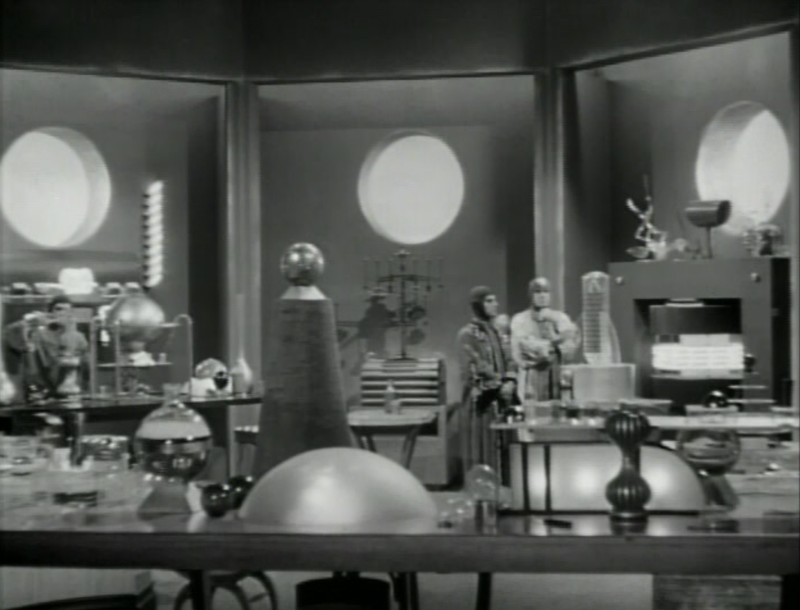 On the other hand, the Greco-Roman architecture of the lunar city and the futuristic laboratory of Retik show that styles hadn’t changed that much since the space operas of the ‘30s (and a lot of the running time is spent on earth with perfectly mundane cops-and-robbers business). Normally, I’ve tried to look at examples of a given concept or character in chronological order (covering Flash Gordon instead of one of its sequels, for example), but I had a copy of Radar Men on hand, and since Commando Cody is technically a new character, free of any earlier continuity, I don’t feel too much conflict about covering it before getting to the original Rocket Men. 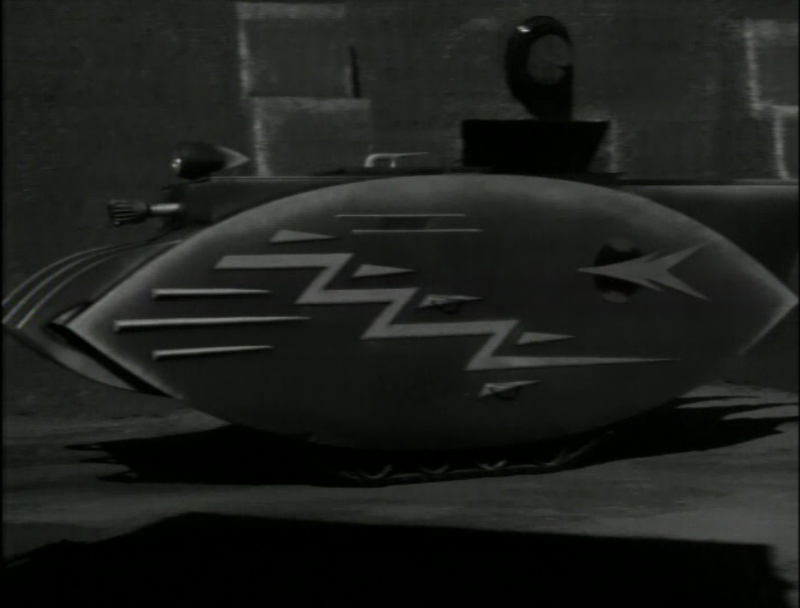 Besides, reused footage and props were a cost-saving feature of the serials almost since the beginning, so Radar Men is exceptional only for its late position in the format’s history and the slickness of its incorporation of previous material. For what it’s worth, it wasn’t obvious to this viewer when it cut to older footage, and establishing shots weren’t drawn out as excessively as I’ve observed in the Universal serials I’ve watched. From a technical standpoint, the production of serials was clearly at a high point, and everything moves quickly and looks sharp. However, the same professional application of an established formula that makes everything look polished also drains any spontaneity out of this production: the characters are thinly drawn and their dialogue functions almost exclusively to move the plot forward. 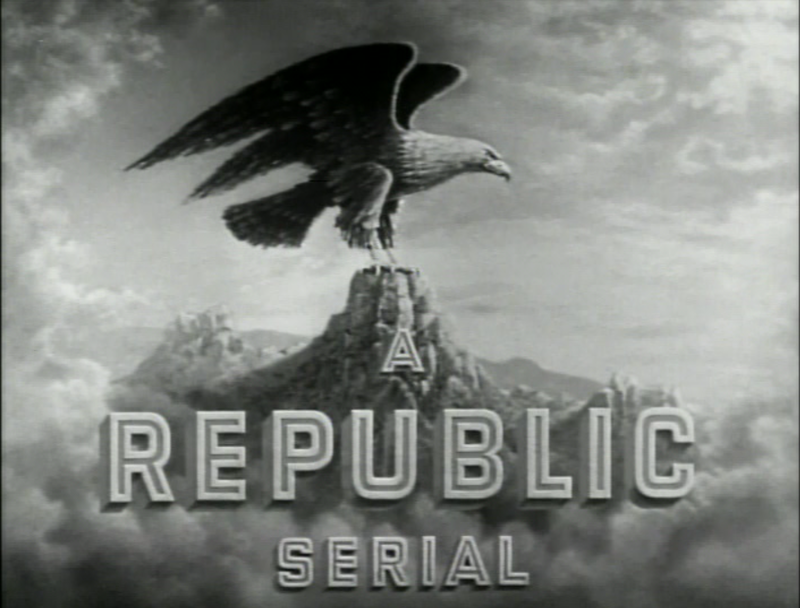 There is little room for the weird digressions or surprises that mark the serials of the 1930s. 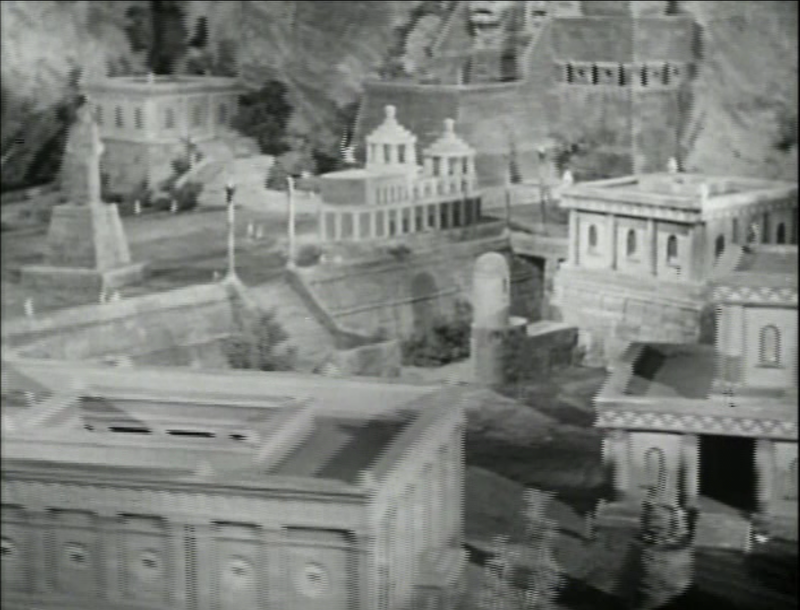 Star George Wallace leads a cast that includes “heavy” Roy Barcroft as Retik and future Lone Ranger Clayton Moore as the gangster Graber; the performances are fine, but the real stars are special effects wizards Howard “Babe” Lydecker and Theodore Lydecker, brothers whose detailed miniatures of earthly and lunar structures and vehicles are extensively featured. There are also plenty of well-executed fight scenes, courtesy of Tom Steele and Dale Van Sickel, longtime stuntmen and fight coordinators. 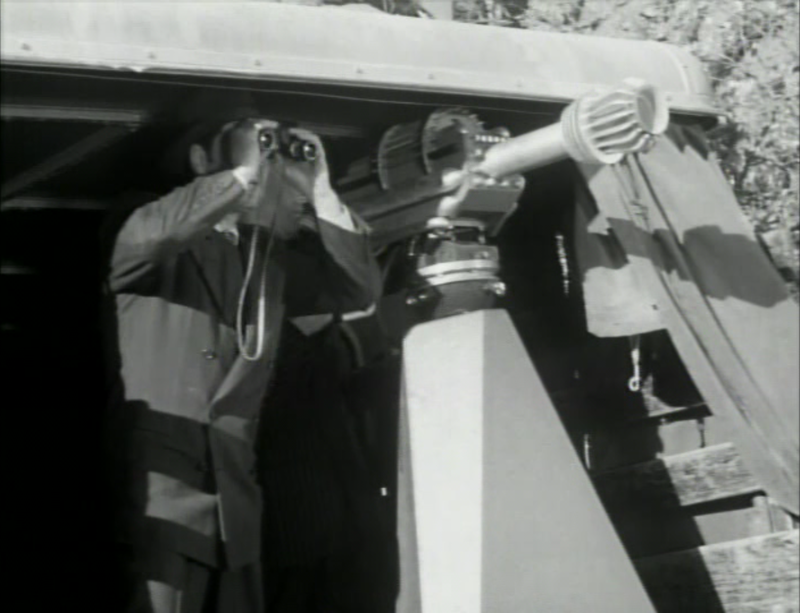 So why isn’t Radar Men from the Moon more exciting? 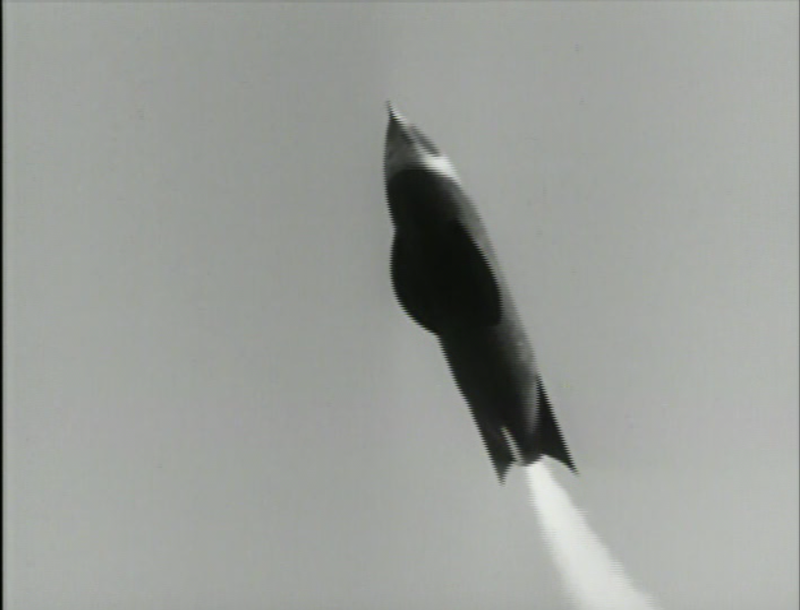 There’s a business-as-usual quality to the proceedings: no one seems that surprised that America is under attack by atomic weapons, or that the culprits might be from the moon. What’s that, we need to take our rocket ship to the moon? Sure thing. Oh, we need to go back? No problem. I’ll remember to take my jetpack in case I need to hijack a space tank. The material calls for hyperbole à la Stan Lee, but the execution is more like Dragnet. No such philosophical problems trouble Commando Cody or his team. If I had seen Radar Men from the Moon when I was twelve, I expect I would have loved it, but as an adult the prospect of an adventure that is all plot and very little character is less appealing. Rather than revisit it, I’ll probably just rewatch The Rocketeer. 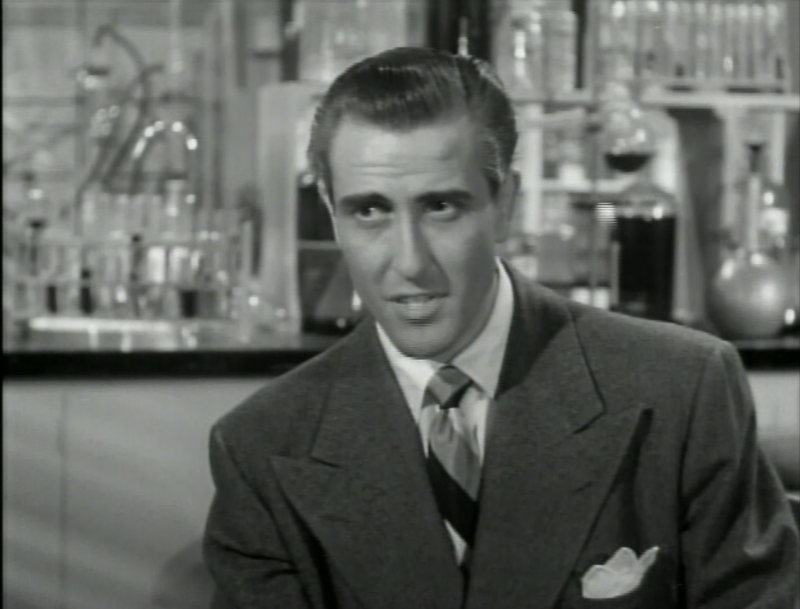 Where I Watched It: A Hal Roach Studios DVD; it’s also available to watch on YouTube. 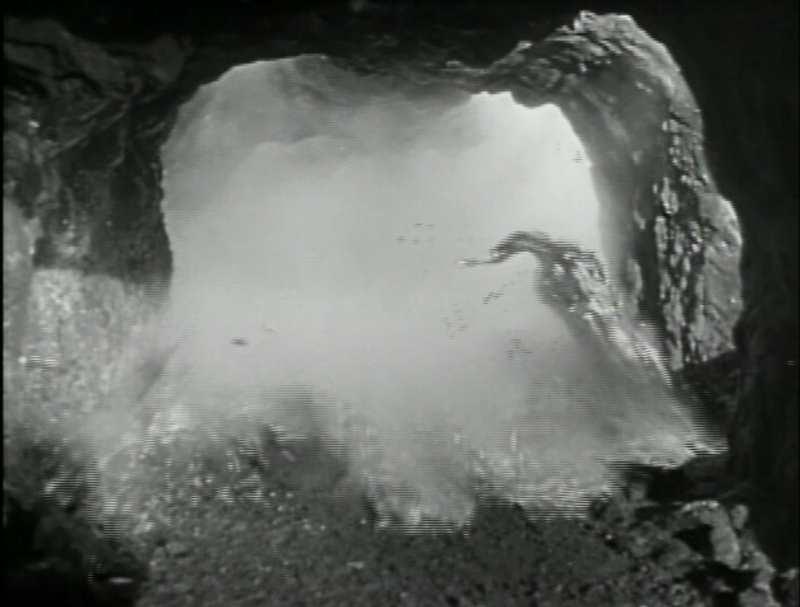 Best Cliffhanger: At the end of “Molten Terror,” Cody and Ted are trapped in a mountainside cave on the moon. Lunar soldiers aim the atomic ray at the mountain, softening the rock (using the same melting effect seen at the end of The Phantom Empire) and filling the cave with molten lava. Annie Wilkes Award for Most Blatant Cheat: Several times Cody is in a vehicle that crashes: planes at the end of Chapter Four (“Flight to Destruction”) and Chapter Seven (“Camouflaged Destruction”), a car in Chapter Five (“Murder Car”). In the next week’s episode, intercut footage reveals Cody and his passenger bailing out at the last minute, exactly the kind of cheat Annie Wilkes was complaining about. What’s Next: I’ll take a look at Zorro’s Black Whip, starring Linda Stirling. Join me in two weeks!